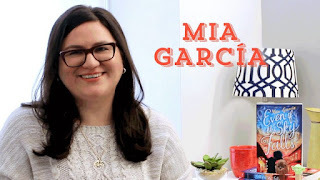 Banal Girl: Interviewing Mia García!! Mia’s debut, EVEN IF THE SKY FALLS (Katherine Tegen Books ) is a Young Adult contemporary romance and I have already read it and you can read my review here ! And yes... I don't have much to say now, just that she is an awesome person so you MUST read this interview! Dogs! Although I also love cats, I’m that person who sees a dog across the street and waves. Sweet. I don’t have a huge spicy tolerance. Oh. I LOVE both, especially Horror Movies, but lately there’s a lot more to watch and fall in love with in Series. I’ve always been lame. My idea of a party is hanging out watching a TV marathon, so…SLEEP! Like ABCs reading or falling in love with reading? I was a bit obsessed with The Raven and different myths/fairytales when I was 10, but it you can totally point to the spark flamed by Harry Potter (cliche I know) when I was 13. It kicked off the need to consume every book in sight, before that reading was homework instead of pleasure. 7. What was the last book that made you cry? It’s a book that isn’t out yet that a friend wrote. Before that it was The Smell of Other People’s Houses by Bonnie-Sue Hitchcock. I wasn’t expecting it and before I knew it I was crying on the subway. 8. What is your under-appreciated novel? I don’t think people talk about Howl’s Moving Castle by Diana Wynne Jones as much as they should. It is SUCH a good book (and the film is great as well) and a must read if you love Fantasy. I also have a special place in my heart for the SWEEP series by Cate Tiernan. I think when I was 14-15, but then again I did find 7-year-old self's riveting ode to pancakes the other day, so who knows. 10. How many hours a day do you write? 3-4 if I can, but a lot of the times it’s more like 1-2. 11. What is the most difficult part of your artistic process? Getting over that voice that says everything you do is horrible and others have done it better. 12. Do you have something to say to your readers? What? 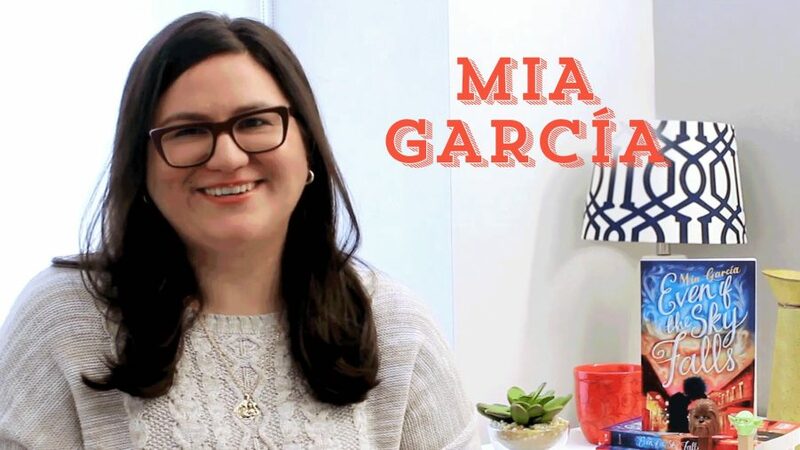 Thank you so much Mia García for this opportunity!! You can find her on goodreads , instagram and www.mgarciabooks.com !! Did you liked this interview? Do you want more? Please say what you think in the comments! Que fixe!! Adorei ler esta entrevista <3. Beijinhos! Adorei, ficou muito fixe a entrevista. Acabei de seguir o teu, um beijinho! Muito boa a entrevista. A autora parece super simpática. Passatempo com Castor de Papel!